Hay in the bra is a permanent problem. There should be some sort of public service announcement out there. I swear. I don't even know how it gets there, but somehow it appears even on days when I haven't touched a tractor or a bale. It also gets in your hair. And your shoes. And in your pants. 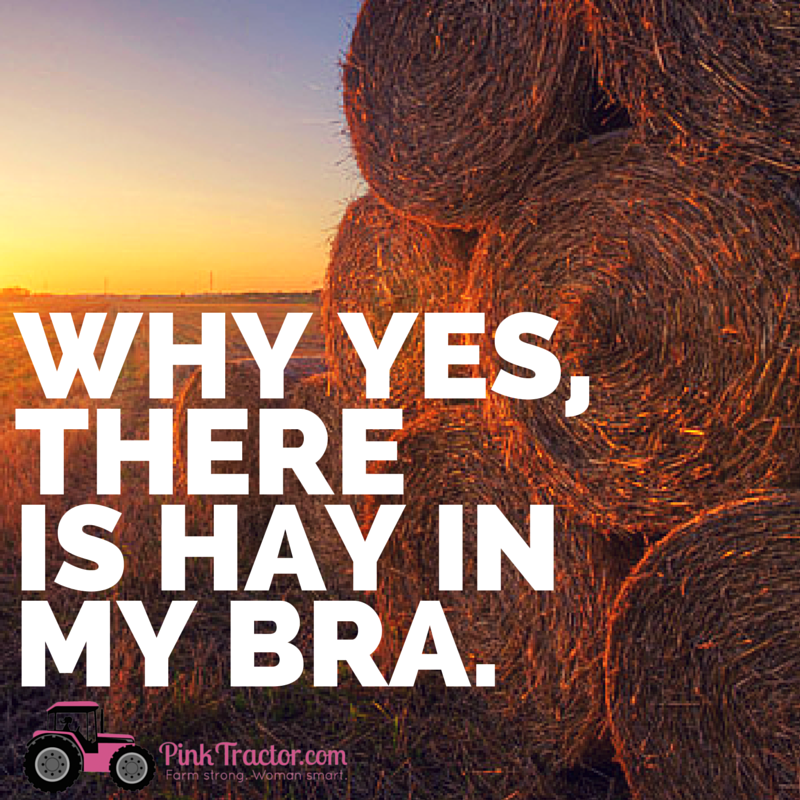 Hay chaff is the STD of the farm world. With the weather that we are having in southern Illinois right now (110 degree heat index and humid as can be) all I can do is sigh with relief when I walk into the ac and peel off a layer of dried grass into the bottom of the shower. Well that and be thrilled that no one I know is making square bales. I do not relish the idea of putting up 200 squares in this weather. Yikes!